We are really motoring on Spring / Fall energies this week and are in 18th place out of 286 world-wide teams. 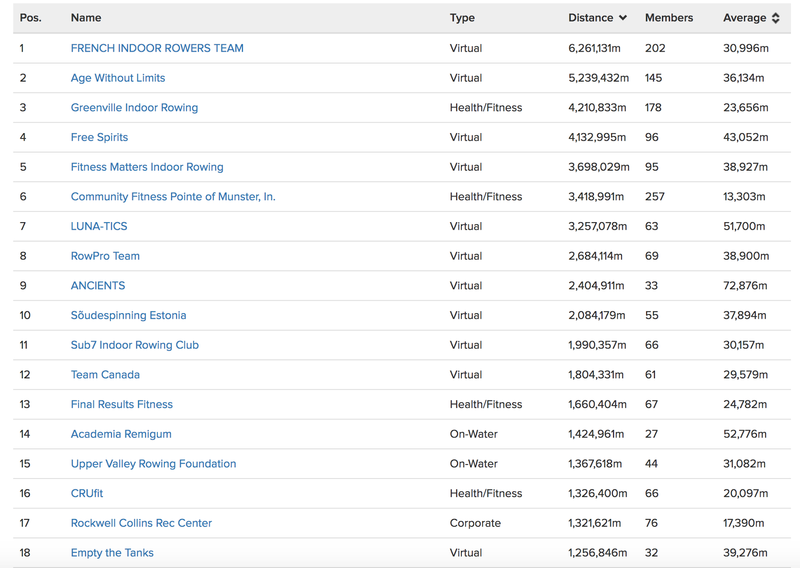 32 team mates have signed up to the World Erg Challenge with 28 members contributing metres to the teams total standings in the first week of competition. 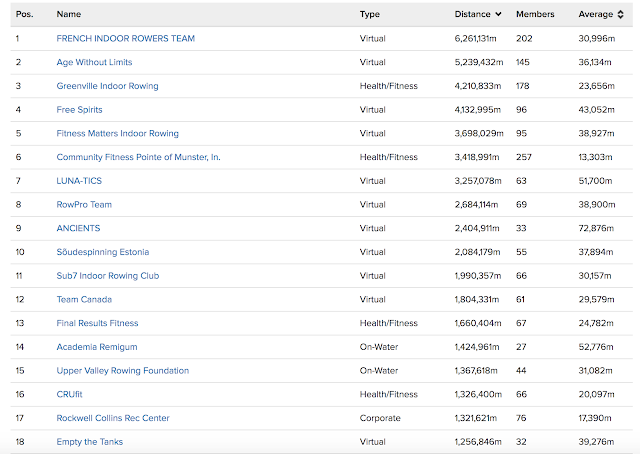 Our top ten ergers have rowed some impressive metres in seven days. 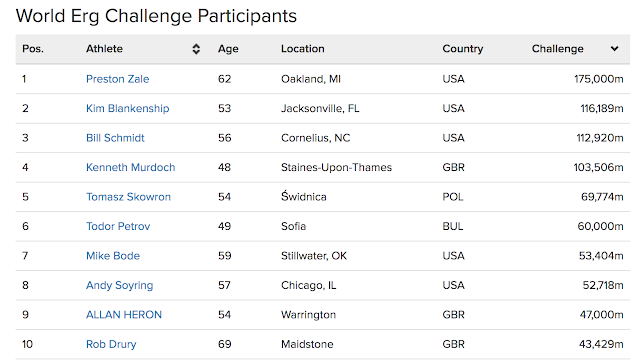 Congratulations to the following ETT'ers; especially Preston who is in pole position with over 175k!! 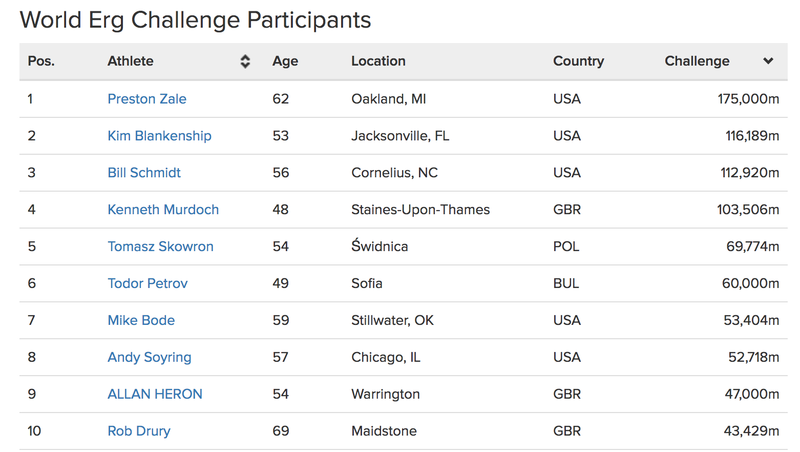 Our top female rower, Kim is a close second with 116k with Bill S in third place with 116k. Keep up the momentum ETT'ers and let's knock CRUfit off 16th place by the end of next week! We're rowing up a storm!